KUALA LUMPUR, 1 Oc Sime Darby LPGA Malaysia 2015 today announced a star-studded field for the Asian Swing curtain-raiser, which tees off at Kuala Lumpur Golf & Country Club (KLGCC) on Thursday 8 October. The field contains no less than 18 players from last month’s thrilling Solheim Cup, including Paula Creamer, Brittany Lang, Alison Lee, Stacy Lewis, Morgan Pressel, Lexi Thompson and Michelle Wie from the victorious Team USA; while Team Europe will be represented by Sandra Gal, Charley Hull, Karine Icher, Catriona Matthew, Azahara Munoz, Anna Nordqvist, Suzann Pettersen and Melissa Reid. In addition, 12 players will compete at the tournament under sponsor invites on account of their valued contribution to the game over the years or the considerable promise they show for the future. Christina Kim (U.S.), Ryann O’Toole (U.S.), Melissa Reid (England), Paula Reto (South Africa), and Jennifer Rosales (Philippines), will join Cheyenne Woods (U.S.) and Aditi Ashok (India), who won the local qualifying tournament will be the first Indian player to feature in the tournament. The 75 player field is completed by the five strong Malaysian Angels, consisting of qualifiers Nur Durriyah and Cindy Lee-Pridgen, and Malaysia’s top three World Ranked professionals, Kelly Tan, Michelle Koh and Ainil Bakar, ensuring that Malaysian fans have plenty of local talent to follow when the action starts. Of the players with sponsor exemptions, Kim, Reid, Rosales and four of the five-strong Malaysian contingent will know what to expect on the East Course, having played the tournament on previous occasions, but for O’Toole, Reto, Ashok and Durriya, it will be their first outing at what is one of the biggest purse events in Asia. 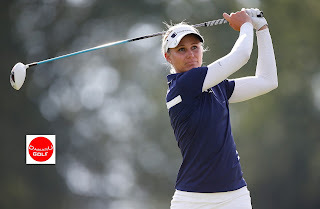 Kim, O’Toole and Reto are LPGA Tour regulars placed 58, 72 and 91 respectively on the LPGA Money List but narrowly missing out on automatic qualification. Melissa Reid returns to the tournament she last played in 2011 on the back of a very strong personal performance in the Solheim Cup, where she won four matches and halved one, making a significant personal contribution to the European team. 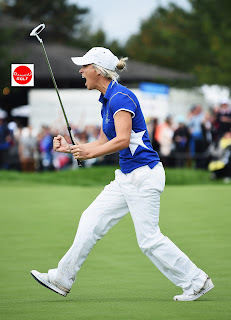 “I am feeling great coming into Sime Darby LPGA Malaysia, a tournament I have good memories of. 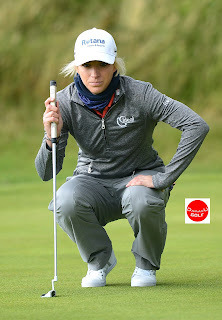 I played pretty well in the Solheim Cup a few weeks ago, which has given me a lot of confidence, so I am looking forward to putting in a few good rounds of golf in Kuala Lumpur. It will be tough as every top player is there but hopefully I will do well”, said Reid. Billed ‘the nation’s most fun golf event’, the Sime Darby LPGA Malaysia 2015 sees a host of new initiatives planned both on and off the golf course, promising four days of fun-filled entertainment complete with live DJs, food stalls, Kids Zone, Chip-4-Charity, and its very own KL Food Truck Festival. place, organisers of the Sime Darby LPGA Malaysia 2015 today announced a star-studded field for the Asian Swing curtain-raiser, which tees off at Kuala Lumpur Golf & Country Club (KLGCC) on Thursday 8 October.